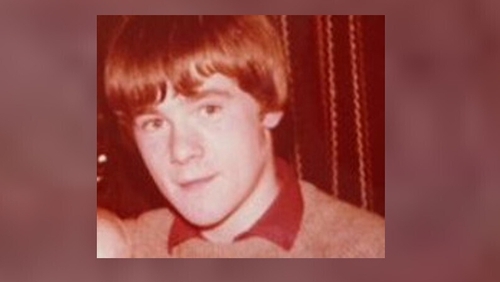 The mother of a teenager who died after being shot by a plastic bullet in Derry 38 years ago today, has criticised a decision by the British government to keep a file on the shooting secret for another 40 years. Paul Whitters, 15, was wearing a balaclava and had been throwing stones at the windows of a bakery shortly before being shot in the head by an RUC officer on 15 April 1981. He died in hospital ten days later when his family turned off his life support on medical advice. A four year investigation by Northern Ireland’s Police Ombudsman concluded that the firing of the plastic baton round was wrong and unjustifiable. It said no warning had been given and that the round had been fired from less than the legally minimum permissible range of 20 metres. The Ombudsman found no evidence that the police officer who fired the shot was in any danger. A British government file on the incident has been discovered by researchers from the Derry-based human rights group, The Pat Finucane Centre. The file, held in The National Archives in London, is entitled "Paul Whitters: killed by a plastic baton round April 1981 CJ4/4402". The records reveal that after a review last year it was decided that the contents will remain classified until January 2059. Paul’s mother, Helen Whitters, has written to Northern Ireland Secretary of State Karen Bradley asking for access to it. "I find this deeply shocking," she writes in the letter. "What has the British government, the Northern Ireland Office, the RUC got to hide? What secrets must be protected about events that April evening in Great James St? "I brought Paul into this world. When this file is opened on January 1 2059 I will not be alive. No one will still be alive who actually knew Paul as the lovely, handsome, caring, intelligent young man that he was. None of his family, his friends, his classmates. "Your government does not have the right to withhold this from my family. You do not have the right to withhold this from his two brothers and sister." The letter says the family has decided against making a Freedom of Information (FOI) request as, if granted, this would result in major redactions in any material provided on the basis that it would be made public. Instead, Ms Whitters is asking the Secretary of State to give the family all available information about Paul’s death. "I owe it to him to ensure that his file is not allowed to gather dust in a vault in London simply because it is seen as too embarrassing for the establishment," she adds. "I am requesting that you as Secretary of State review the status of this file and provide an unredacted copy to me, his mother." In a statement the Northern Ireland Office said: "The Secretary of State recognises the terrible loss suffered by those who lost loved ones as a result of the Troubles and expresses her sincere condolences to the Whitters family during this extremely difficult time. "The Secretary of State cannot comment publicly on specific cases but will respond privately to Mrs Whitters' letter."